Gorenje has been producing domestic appliances for over 50 years and has become synonymous with great in house design. Longstanding collaborations with premier designers have further endorsed Gorenje’s commitment to producing enduring appliances. The aesthetics, however, do not come at the expense of reliability as build quality has always matched the luxury of design, underlined by the generous parts and labour guarantee which comes with the products; up to 5 years on a number of models. 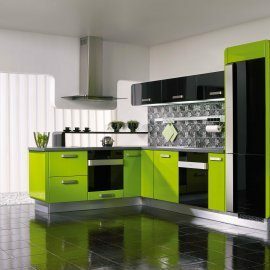 So, as customers look towards improving their homes rather than selling them, investing in stylish and well built appliances with timeless looks becomes essential. The Pininfarina Black collection comprises fridge freezer, built-in oven, cooker hood, a series of glass ceramic hobs, and to ensure a uniform stylish look to the whole kitchen, special décor panels to hide the dishwasher and microwave oven.Each appliance combines black anodized aluminium with black glass and a touch screen operation.Aesthetic is key to this collection, with even the appliance interiors continuing to set new standards, for example, the refrigerator shelves are made from smoked tempered glass. 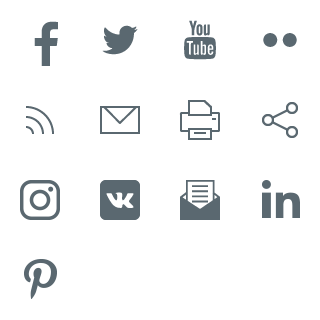 Ora-ïto caused a stir when he launched his guerrilla collection of ‘virtual’ designer products. 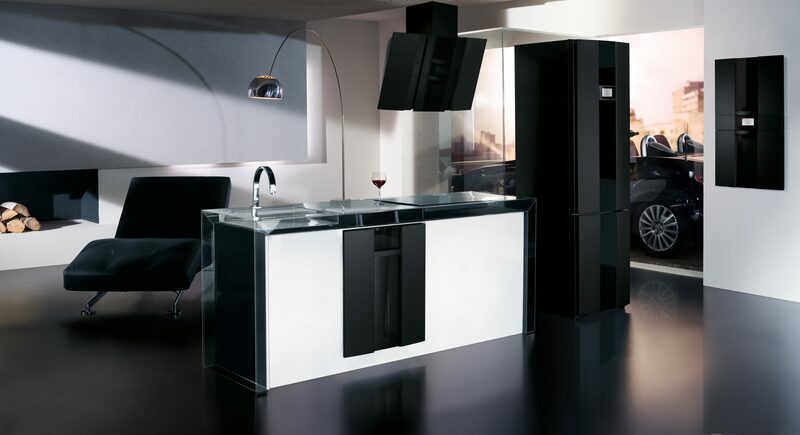 Based on real brands, each product in his portfolio was created as if they really existed.Soon his portfolio of fake products catapulted him to critical acclaim leading to collaborations with the very companies he aped.The Gorenje Ora-ïto collection is based on simple elegance; it does not say too much just what matters.The range uses black glass panels with silver handles and is the prefect choice for the customer who seeks timeless design. 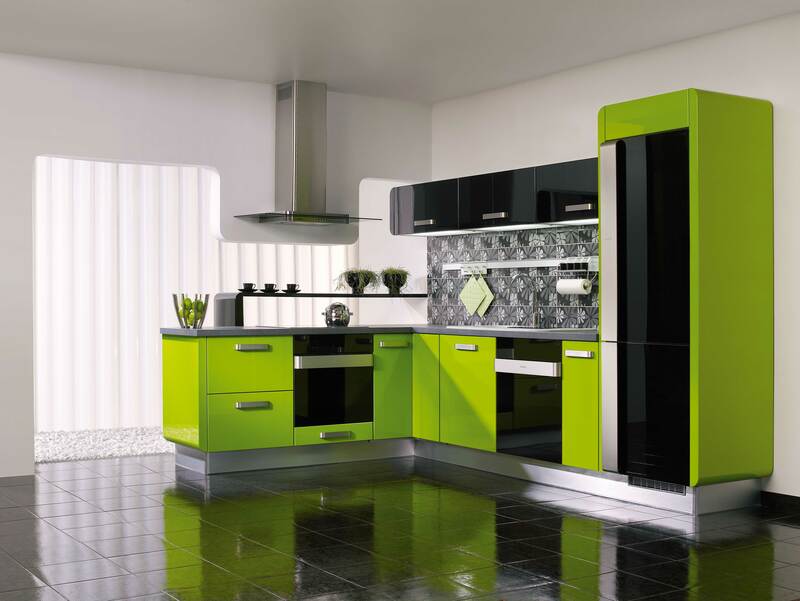 It is versatile enough to look at home in a minimal monochrome kitchen or to compliment colourful kitchen furniture. The collection includes ovens, hobs, hoods, fridge freezers and décor panels for microwaves and dishwashers. The Swarovski fridge freezer very much caters for the customer who is looking to add a little sparkle to their kitchen. The rise in popularity of home entertaining is continuing and investing in a statement piece for the kitchen which brings a head turning touch of catwalk glamour to the home is very of the moment. The excellent build quality means that your Gorenje Swarovski fridge freezer is an investment as well as a talking point for friends and family. The door features 7,000 hand embedded Swarovski crystals and like all of the premium appliances features a sleek touch control system which operates the settings of the appliance.